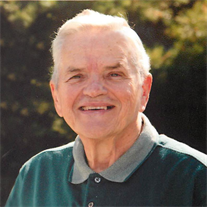 Richard Owen Hakes, 84, of New Castle, died early Saturday morning July 9, 2016 at Glen Oaks Health Campus following a lengthy battle with Alzheimer’s. He was born September 8, 1931 in Crescent Springs, Kentucky, a son of the late Willis Nathan Hakes and Mary Dena (Fleming) Hakes. Richard was a registered nurse and a professor of nursing. He was one of the first male nurses to graduate in the state of Indiana. Richard was a graduate of Indiana University and St. Elizabeth’s School of Nursing. He served in the U.S. Army Medical Corps during the Korean War. Richard married the love of his life, Margaret Elaine Harris on June 3, 1956. He worked for the Indiana State Hospital and founded the nursing program at Anderson University. For many years he was a professor of nursing at Ball State University. Richard was active with the Indiana State Retired Teachers Association, where he served as past president, First Nighters Civic Theatre and Breakfast Optimists. He was a member of New Castle First Friends Meeting and formerly for many years the Presbyterian Church. He enjoyed genealogy and music was a big part of his life, singing with many vocal groups, including the Barbershop Quartet. He especially enjoyed being a soloist for Handel’s Messiah. Those left to cherish his memory include his wife of 60 years, Margaret Elaine Hakes; three children, Bradley Owen (wife: Jeanni) Hakes of Yorktown, Elaine Dianne (husband: Jeff) Karbonik of Plantation, Florida and Bruce Harris Hakes of New Castle; grandchildren, Molly, Alex, Madelyn and Grace; two sisters-in-law, Virginia Hakes and Carolyn Hakes both of Decatur, Indiana; an aunt, Laura Hakes of Decatur; and several nieces, nephews and cousins. He was preceded in death by an older brother, Paul Hakes, an older sister, Betty Goodridge and a younger brother, I.V. Hakes. Funeral services will be held at 11:00 a.m. Thursday, July 14, 2016 at First Friends Meeting in New Castle with Rick Schoeff presiding. Burial will follow in Mt. Summit Cemetery. The family will receive friends from 4 – 8 p.m. Tuesday, July 12, 2016 and 4 – 8 p.m. Wednesday, July 13, 2016 at Sproles Family Funeral Home. Memorial contributions may be offered to the Henry County Foundation, 700 S. Memorial Dr, New Castle, IN 47362 or www.henrycountycf.org. Obituary provided by Sproles Family Funeral Home.